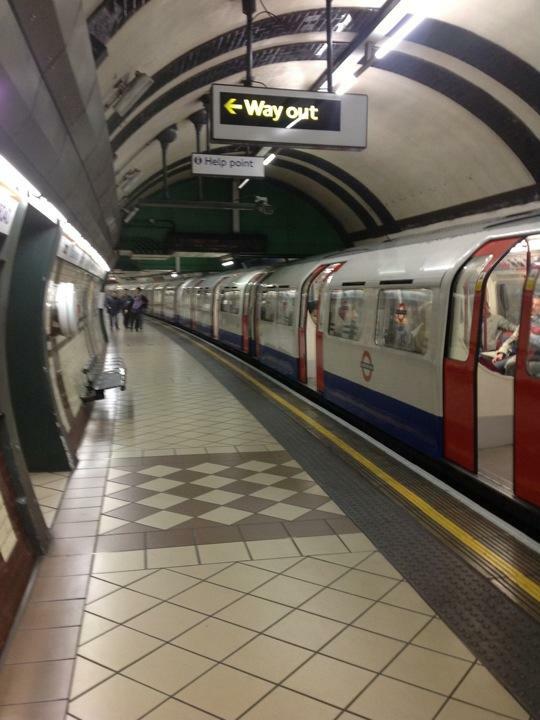 Today we rode the London "tube" or subway around the city. The train cars are crowded with people sitting or packed together standing. If you stand, you must hold on to the handles because the train goes very fast. It's cool to see people from all over the world on the trains speaking different languages. The stations are crazy. You go up and down these really steep escalators and people are shoving and running in every direction trying to get to their train. A big map with a color for each train line tells you how to move around the city. I have been on the Washington DC subway, but this seemed way more busy and hectic. What an introduction to the city!